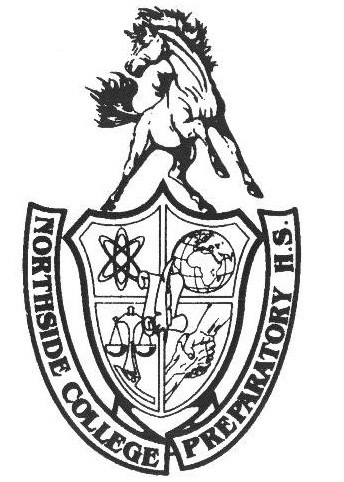 To many students at Northside, Flashpoint Chicago may not seem like the obvious choice. Naturally, liberal arts colleges and universities allow students to be exposed to a variety of academic fields, which is one of the reasons why they are commonly applied to. Students who are interested in pursuing a career in digital media arts may apply to a liberal arts school simply because the practice has become a norm among the student body. However, Valarie Biondi, a community relations specialist at Flashpoint Chicago, believes exploring other types of colleges is important and advises students not to “put their eggs all in one basket.” With the opportunities available at Flashpoint Chicago, students may discover that the school is a perfect fit for them. Flashpoint Chicago is a private college located in downtown Chicago. Its campus is part of a larger school — Columbia College Hollywood — due to the merging of the two schools. The community on campus is ethnically diverse and is comprised of students from more than 18 countries. Flashpoint Chicago offers two and four-year degree programs in film, graphic design, recording arts, and visual effects. While the school specializes in digital media, it is a liberal-arts degree-granting school, which allows students to obtain a bachelor degree in fine arts. Regardless of their major, all students are required to take humanities, social science, math, and science classes. However, the school is unique in the sense that the core-study classes center around what students are majoring in. For instance, English professors may assign essays on the history of film as opposed to general history. Classes at Flashpoint Chicago are small and interactive with an average class size of 12 students and a student-to-faculty ratio of 8:1. For many of the classes students take, teachers forego lecturing. Instead, classes are often taught off-campus; some take place at Cinespace Chicago Film Studios, where TV shows such as “Chicago PD” and “Empire” are filmed. The school also partners with Chicago recording companies, giving sound engineers the ability to take classes in a professional recording studio. While art is generally considered a nontraditional form of study, Flashpoint Chicago emphasizes the importance of a hands-on approach when it comes to teaching. According to Biondi, “[Flashpoint Chicago] attracts the eclectic type of students that learn more in a kinesthetic approach.” When students are not taking off site classes in these studios, they can look to production and recording studios on campus to take on their own personal projects. Taking classes off-campus is not the only opportunity students have to interact with professionals in the industry. Every month, students go on field trips to various company offices and studios. In the past, students have gotten the chance to visit Threadless, a T-shirt company where their designs are created and chosen by a community of artists. Students also took a field trip to The Mill, a company known for visual effects, moving image, design, and digital projects for advertising, games, and music. The cost of attendance including tuition, fees, books, and supplies is about $31,454. Room and board, and other personal expenses may rack up the cost of attendance to $44,604. Although Flashpoint Chicago does not offer official campus housing, they partner with nearby housing that is either within walking distance of the school or easily accessible via public transportation. With over $1 million in scholarships, admitted applicants can receive financial aid in various forms such as need-based, merit-based, and portfolio-based scholarships. To receive loans and grants, applicants must complete their FAFSA application. 95% of students receive some form of financial aid from Flashpoint Chicago. For students who still are not sure if they want to major in digital media, Biondi encourages students to build their experiences by taking digital media classes, helping with school plays or participating in programs like the one at Galleria 37 which is sponsored by After School Matters. Flashpoint Chicago even offers their own summer program that is opened to all high school students. Seniors who are already applying to colleges should consider going to one of Flashpoint Chicago’s open house, which may help students visualize attending the school. During the open houses, not only will students go on a campus tour, but they will also engage in demos such as a motion capture demo or a recording art session at one of the studios. With its hands-on approach to teaching and extensive professional connections, Flashpoint Chicago will prepare any student to be successful in any digital media industry.